Tim Cook may not be a big fan of the word ‘wearables’, but Apple is still selling enough of the stuff to account for almost a third of all sales in the category globally. This was revealed yesterday at Apple’s latest shareholders meeting where Cook said that Apple Watch sales alone is approaching the size of a Fortune 300 company. He had earlier compared the size of the company’s Watch business to that of a Fortune 500 company, and even said that the Apple Store by itself is large enough to be a Fortune 100 company. One interesting thing to note here is that Cook did not reveal the exact number of Apple Watches sold, nor the amount of revenues generated from the device. 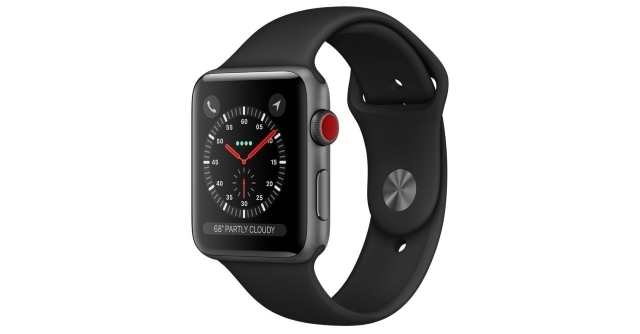 Apple Watch sales was lumped together with other products in Apple’s financials when the company had announced its Q4 results earlier this month, although Canalys has since revealed that that the Cupertino-based tech giant had shipped 18 million Apple Watches in 2017, representing a 54 percent YoY increase in a market that continues to cater to a niche audience for the most part. While Apple Watch shipments beat market expectations, Apple Pay has been a bit of a disappointment, with Cook admitting that, “Mobile payments have taken off slower than I would have thought”. While growth in emerging markets like China and Russia has been impressive, the built-in transit integration has helped the platform gain some traction in developed economies, such as Japan and the UK. Another interesting fact to have come out from the shareholder meeting is that Apple acquired 19 companies last year and is on the lookout for more this year. The company also announced that it spent $12 billion on R&D in 2017, and expects to add about 20,000 new employees in 2018.